MSOME (Motile Sperm Organelle Morphology Examination) is a technique that allows the evaluation of male fertility. 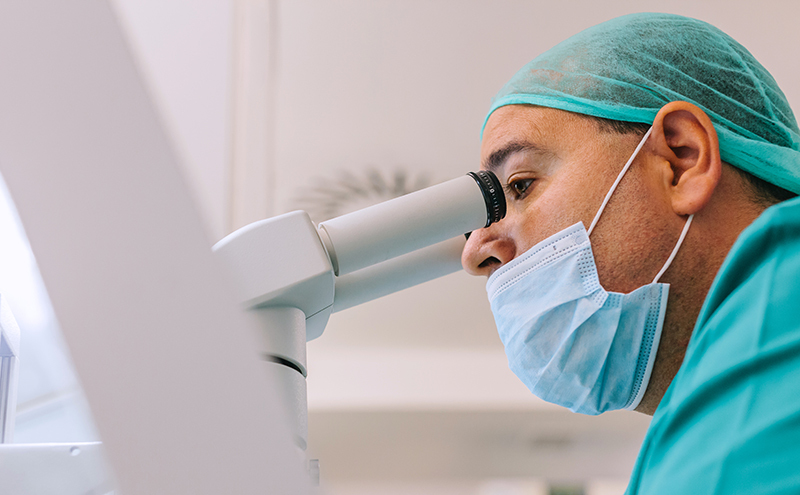 Through the use of powerful microscopes, the morphology of the sperm can be analyzed much more accurately, making it possible to observe sperm alterations that would be impossible to appreciate in a normal evaluation. This makes it possible to obtain a very precise diagnosis of a man’s fertile potential. Although any patient can undergo the MSOME test, this test is especially indicated for those men with an altered seminogram or for those who have had failed assisted reproduction cycles. How is the sperm sample obtained for its analysis? The sample should be collected after 2-4 days of sexual abstinence. A much longer abstinence is not recommended. (The abstinence period must be neither shorter than 2 days, nor longer than 4 days). Collect the sperm sample in a sterile container, we will give you one at Ginefiv, nevertheless you can buy these containers in a pharmacy. Masturbation is the standard method for the sperm sample collection, as neither the interruptus coitus, nor the use of commercial condoms is accepted. The collection of the sperm sample must be performed under hygienic conditions (you will need to wash your hands previously). Be sure that the whole sample is inside the sterile container, because in case most of it falls out of the container, the sample will not be valid. Don’t worry if just a little part of the sample falls out. Once you have obtained the sample, make sure you have closed the container properly and that the sample doesn’t get too cold (the sample has to be kept at a temperature between 20ºC and 30ºC, avoiding abrupt temperature changes. That’s why we recommend carrying the sample in an interior pocket). The maximum period of time between the sperm sample collection and its delivery at the laboratory should be of one hour. If you have a temperature (fever) between 7 to 10 days before the sperm sample collection or if you are taking antibiotics, you should contact the laboratory to postpone your appointment.